Why Is Ford On The Hook for a $25.9 Million Wrongful Death Lawsuit? The faulty design of a van’s seatbelts has resulted in a jury’s decision to award a family $25.9 million for the wrongful death of a woman who lost her life after the church van she was traveling in crashed and ejected her from the vehicle. In this issue, we’ll share specifics from the case, and talk about who shares responsibility with Ford. The woman was part of a group of church members who were returning from a retreat in a van owned by the church. During their return trip, the left rear tire of the vehicle experienced a tread separation, which caused the van to roll over. Thrown from the van because she was not wearing a seatbelt, the victim experienced several injuries that proved to be fatal. Why was the victim not wearing a seatbelt? 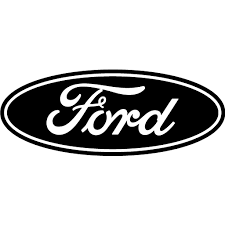 The wrongful death lawyer representing the victim’s surviving family members was able to prove that Ford was responsible for the faulty design of the church van’s seatbelts, which caused them to fall below the seats and become inaccessible to passengers. Sharing responsibility for the incident was the church that sponsored the outing. The jury faulted the church for not looking for and pulling up the seatbelts so the passengers could use them. Do accidents like this happen often? While each case is unique in its own right, motor vehicle accidents are common grounds for wrongful death lawsuits. Other common instances of wrongful death claims include workplace accidents, medical malpractice, slip-and-fall accidents, and dog or animal bites. If a loved has lost their life because of someone else’s negligence, call the wrongful death attorneys at Barber & Associates. Losing a loved one is often a devastating event – especially if the loss results from a sudden accident because of someone else’s negligence. If you and your family has experienced what you feel to be a wrongful death, we want you to know that Barber & Associates is one of Alaska’s leading wrongful death firms. For a free consultation, call us at 907-276-5858 or you can reach us via email.